Show your support for the Aflac Childhood Cancer Campaign™ and hit the greens in style with a new friend in your bag – the Aflac Duck golf head cover. Measuring eight inches high, this roomy cover is designed to fit most clubs. 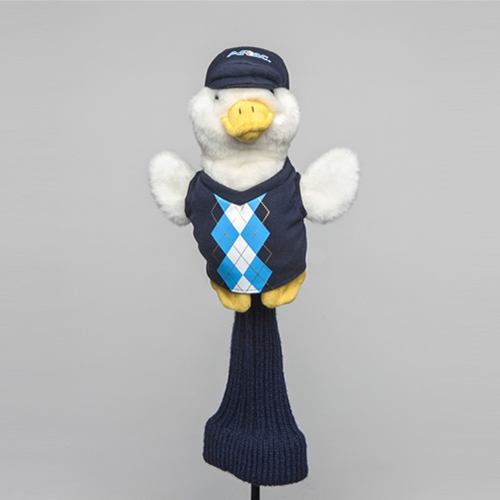 Featuring a plush Aflac duck in golf attire at the top, the padded plush provides solid protection for your golf club head, while soft sock material protects the connected shaft. Recommended for ages 3+. Microwave and dishwasher safe. Made in USA.